Maria has been in the dental field for over six years. She loves how great dental work can help people feel good about themselves and grow in confidence. Her favorite part of her job is interacting with our patients. Maria is married and recently went part time in order to spend more time raising her son, Louis. She loves to walk on the beach, exercise, and do abstract art. She’s also fluent in Greek and loves going to school to learn new things. Deborah has been in the dental field for over thirty years, more than sixteen of those has been right here at Burba Dental. She loves comforting nervous patients and helping them feel at home. She gets additional satisfaction from learning and keeping up with the latest technology in the field. 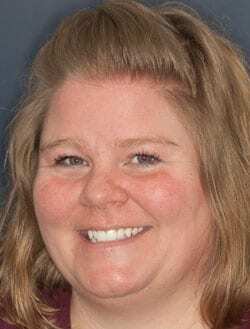 While she’s with her patients, she enjoys teaching them about the various aspects of dentistry they’re experiencing as well as how to improve their oral health. 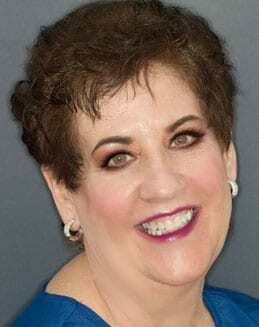 In her personal life, Deborah has been married for 20+ years and loves exercising, traveling and hanging out with family. This area is a particular favorite of hers. The ocean relaxes her. You can often catch her by the seaside just enjoying the atmosphere around her and thinking. 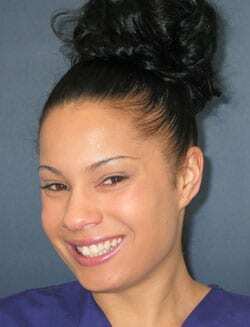 Tifani has been a dental assistant for over 9 years. She studied at the Everest Institute’s Dental Assisting program. 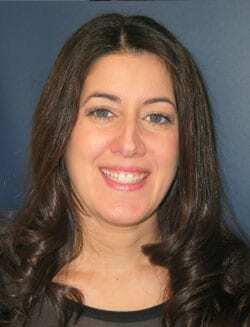 Tifani’s interest in dentistry began as a curious child. She was always at the dentist’s office getting fillings done and decided she wanted to learn how it works for herself. Her favorite part of her job is to make patient’s comfortable to the point they no longer feel any dental anxiety. In her personal life, Tifani is married and is a mother of 2. Jen completed dental assistant school at Bryman Institute. In addition to that, she received Radiology Certification at Tufts. Though she’s been in this field for 15 years, her fascination with dentistry started when she was 12 years old. “I remember asking my mother to let me get my teeth bleached like Halle Berry’s,” Jen recalled. But, it was her mother’s fear of dentistry which steered her into the field. She wanted to help her mother feel comfortable in a dental chair. In fact, that’s what she finds most rewarding about her job. “I like to see people happy,” Jen said. In her spare time, Jennifer loves spending time outdoors and guards her family time closely. She loves everything the North Shore has to offer, including swimming, fishing, and fire pits. She and her fiance Kevin have six children and two dogs. 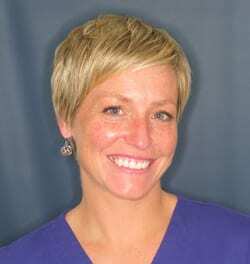 Corinne developed a passion for dentistry while working as a front desk coordinator in a dental office during college. She went ahead and completed her degree in mathematics, but never lost her passion for teeth. She went on to study dental hygiene and has been in the field for more than ten years. 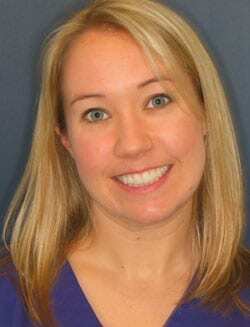 She loves it when her patients feel healthy and realize how painless dentistry can be. Corinne is married to Dan. Together they have an incredible son named Asher. In her spare, there’s nothing more pleasant than going for a walk and then a meal out with those she loves. Corinne also strives to be the best example she can for her teenaged sister. 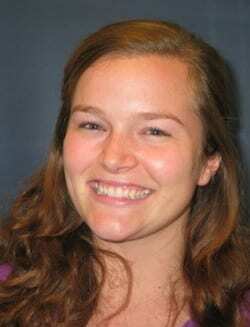 Katie is a graduate of Cape Cod Community College with an Associate’s Degree in Dental Hygiene. 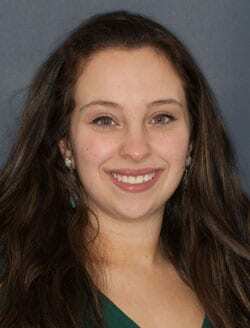 Previously practicing in Central Massachusetts, she recently moved to Salem and joined our team. She enjoys working in the dental field because she loves working with people, and she strives to help create a positive experience for her patients. Some of her other interests include cooking, reading, fishing, hiking, playing sports, and spending time with her family and friends. Siobhan has a bachelor in science from the University of Massachusetts-Amherst, and has been a dental hygienist for the last ten years. She loves the dental field because she gets to work with people, listen to their stories, and help them feel good about themselves. Siobhan has been married for ten years and is blessed with three beautiful daughters & one puppy. In her free time, she loves to run, spend time with her family, and go to the beach. Daniela grew up in both Peabody and Reading. She attended North Shore Community College where she received two associates degrees in Liberal Arts and Business. She decided to get into dentistry because she was afraid of everything about it—the sounds, the smells, the approach. At one point she wondered if the whole field was just a scam. But, after much reading and time she’s come to appreciate dentistry and the importance of good oral health. She finds it most gratifying to help patients understand the field as well. Recently married, Daniela is the youngest of three girls and adores her nieces. She’s also bilingual and is fluent in both English and Portuguese. She loves living on the coast and feels we get the best and worst of all seasons. In her spare time, she enjoys going to restaurants and trying new foods.